Walk this way to enjoy a stroll through the brewery blocks where the beer industry in Portland developed. 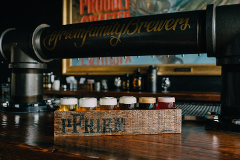 Get behind the scenes and check out the craftsmanship behind some of Portland’s best breweries. West coast best coast dude! 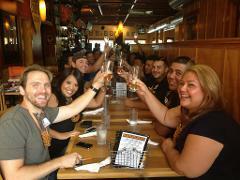 Celebrate great PNW styles of beer on this tour while having a great time! 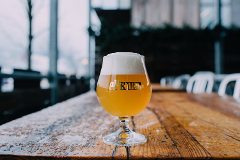 Spend an evening exploring what you can do after the brewing process itself, and how barrels are used to age as well as contribute flavors in the brews you drink. 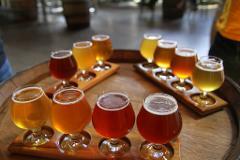 Get funky with the most creative brews in Portland, as we mess with your perception of brewing! 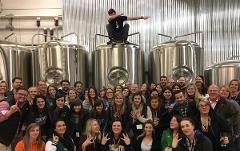 Get into the holiday spirit with BREWVANA’s Beer & Lights Tour! 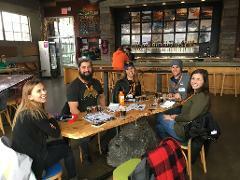 Fort George Festival of the Dark Arts 2017 - BREWVANA Day Trip to Astoria! SATURDAY, FEBRUARY 18th from 9:00AM - 7:00PM BREWVANA is taking a trip to Astoria to visit Fort George Brewery for the Festival of the Dark Arts 2017! 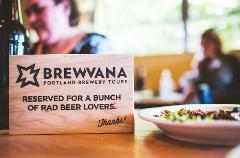 In the land of amazing beer and mouth-watering food, BREWVANA delivers! 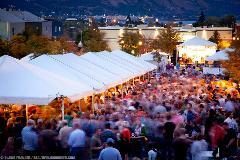 This Portland culinary adventure celebrates great craft beer and the vast collection of flavors that it compliments. 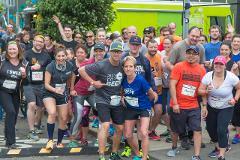 Explore Southeast Portland's hip culture through the strong beer & art community that thrives here. Even long-time Oregonians will learn something new on this neighborhood friendly tour. 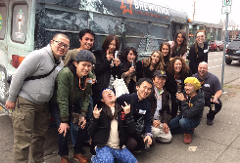 HOP on the bus and join us for a beer drinking adventure as we blaze our way across Portland! Saturday, June 17th 2017 10:00AM-4:00PM Join BREWVANA for an afternoon at the Rye Beer Fest in Happy Valley! Day drinking outdoors on a Sunday afternoon while checking out some of the coolest neighborhoods in Portland? Yes please! Do You Even Portland, Brah? Do you like Portland, brah? Do you like day drinking while others are working, brah? Brah, You'll LOVE this tour, brah! 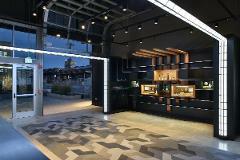 Sip your way through one of Portland's most transformed neighborhoods located within the fifth quadrant. Friday, June 23rd 2017 5-9PM A tour celebrating Oregon Cider Week 2017!! 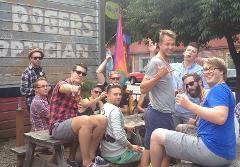 Locations visited: Reverend Nat's, Portland Cider House, Oregon Mead & Cider, & Cider Riot! 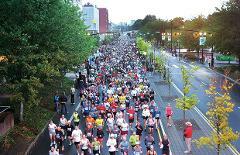 Drinking can be a Marathon, keeping your pace is key to a strong finish! Celebrate the upcoming Eclipse with a one of a kind behind the scenes experience at four of Portland's best breweries with Derric, radio host at 94.7! Join us on Bonfire Night, the traditional British holiday, as we celebrate with some proper English Cask Ale! A few last minute spots have just opened. Give us a call to book 503 729 6804. 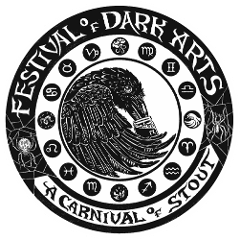 BREWVANA is taking a trip to Astoria to visit Fort George Brewery for the Festival of Dark Arts in 2018! 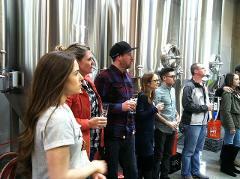 Join BREWVANA this Valentine’s Day for a love-filled progressive dinner tour! 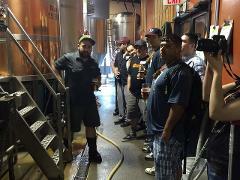 Beer For Good - YMCA Benefit Tour! Drink beer and do good for the community! Profits will be donated to the YMCA. Head out to the gorge and discover Hood Rivers best watering holes. 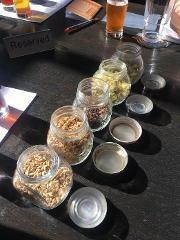 Includes, tastings, full lunch, transportation, sampling journal and tasting glass. Learn about the Pacific northwest ingredients and best practices from the pros. 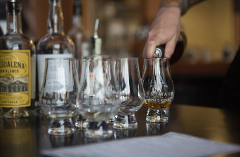 Includes, tastings, full lunch, transportation, sampling journal and tasting glass. 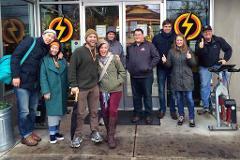 Bolt minister (head brewer, owner of 54/40 brewing)will co-host! 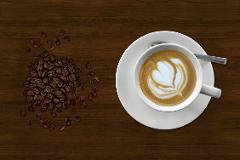 Check out different brewing systems from small to large scale and learn how to anticipate growth over time. Includes, tastings, full lunch, transportation, sampling journal and tasting glass. 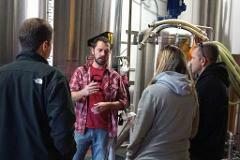 Hear directly from the Home Brewers who became Pros in Oregon City. 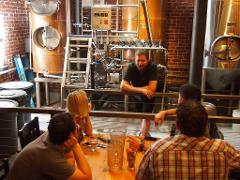 You'll meet with three brewers who made the leap within the last three years. 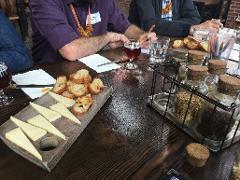 Includes, tastings, full lunch, transportation, sampling journal and tasting glass. 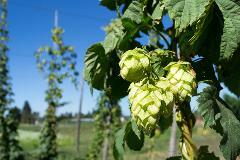 BREWVANA is taking a trip to Woodburn visiting the hop fields of Crosby Hop Farm and transporting fresh hops to Portland U-Brew where you get to assist in the making of a fresh hop beer. 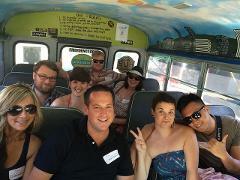 BREWVANA is loading up the bus to take all you hop heads to the annual Hood River Hops Fest! 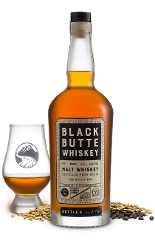 Celebrate Repeal Day with a Happy Hour trip to House Spirits Distillery -- home of Volstead Vodka and Westward Whiskey -- and Deschutes Brewery, for a Black Butte Whiskey and beer pairing. 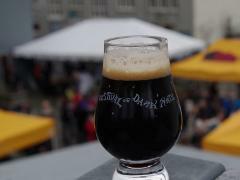 BREWVANA is taking a trip to Astoria to visit Fort George Brewery for the Festival of Dark Arts in 2019!